President Donald Trump plans to stick with his campaign pledge to slash the corporate tax rate from 35 per cent to 15 per cent, but the dramatic cut raises a problematic question for the White House: How can he deliver the "massive" tax cut he promised without blowing the budget? President Donald Trump plans to stick with his campaign pledge to slash the corporate tax rate from 35 per cent to 15 per cent, but the dramatic cut raises a problematic question for the White House: How can the president deliver the "massive" tax cut he promised without also blowing a massive hole in the budget? Most outside economic analyses say the type of tax cuts being promoted by Trump would likely fuel even larger deficits for a federal government already projected to see its debt steadily rise. The lowered tax rates are also unlikely to generate Trump's ambitious promised growth rate of three per cent a year, roughly double the 1.6 per cent growth achieved last year. These two factors are related because the Trump administration is counting on faster economic growth to produce additional tax revenues that could then close the deficit. The concept was popularized as "trickle-down" economics during the Reagan years. 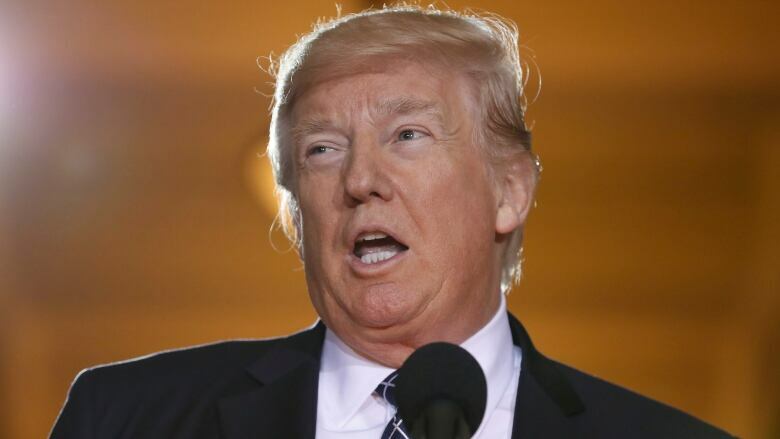 Trump has promised to release the outlines of his tax plan Wednesday and has said the plan would give Americans a tax cut bigger than "any tax cut ever." During the campaign, he backed cutting the corporate tax rate — and the personal income tax rate to 33 per cent from a top marginal rate of 39.6 per cent.